Pay NOTHING the rest of the year for The Coming Church Kindle version! FREE! The Coming Church is a nuclear bomb of revelation…and it’s FREE from Thursday, December 27th until Monday, December 31st! To get The Coming Church for FREE, GO HERE between December 27th and December 31st, 2018! Many are working hard to attract the wrong crowd on Sunday—and the result is an Ichabod church. I've met countless pastors and others who say they are focused on revival, but who are misguided on exactly what it is. Their focus is on attracting people to the church, on people getting “saved” and on other church growth strategies. Premature church growth will result in a multiplication of lukewarm, dead and dying people who have no idea what it feels like to have tongues of fire igniting over top of them. VISITORS SHOULD BE SHAKEN BY WHAT THEY SEE IN THE CHURCH. It’s time self-focused, semi-interested people are no longer given the opportunity to demand what they are looking for in a church. It’s time to close up the welcome centers and put away the welcome gifts. When presented with the unmistakable burning only a supernatural church can offer, their decision to stay or leave will be immediate. I’ve often said that one indicator of the Holy Spirit moving in power is that bystanders will do one of two things. They will either marvel or they will mock. I’ve often heard pastors admit they hide the pre-service prayer (for those who have pre-service prayer at all!) in a side room instead of filling the sanctuary with groans of intercession because they don’t want to freak out the soon-arriving visitors. I’ve heard that many, many times and I was grieved every time. There are a few legitimate reasons why prayer might not work in the sanctuary prior to the service in some churches, but that’s not one of them. If we are attempting to introduce people into the wonder of a supernatural encounter with Jesus, why would we, at the same time, work so hard at shielding their eyes? 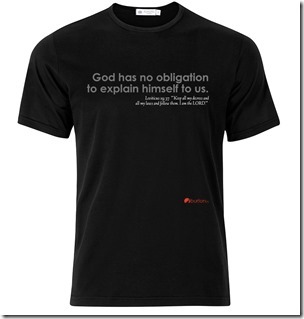 I propose bringing the fire and the groan right into the heart of the Sunday service! Those who remain will be the laborers you need to fulfill your mission. Many years ago, when I first started Revolution Church in Manitou Springs, Colorado, I worked hard at assimilating visitors. I would excitedly connect with them and share just how much they would enjoy making our church their new home. It didn’t take long for me to start feeling like a used-car salesman; dirty; compromised. My strategy grieved my spirit. The truth was that our atmosphere and our vision were called by God to be driven by intercession and marked by a strong prophetic emphasis. The messages were intense. Revolution Church was not designed for those who would be marginally committed (as no church is}. The “Sunday go to meeting” Christians would, by choice, not remain for long. The reality was, that by attempting to attract those types of people, I was compromising the vision. The church needed the remnant who would lock in and pray, who would contend for revival and who would endure with great strength. A large group of non-remnant people would be a distraction. Years would be lost. Lives would be at risk. Eternities would be in danger. So, I shifted. I started literally trying to scare people away from our church. I knew we were called to lead a church on fire, and that just wasn’t possible with tepid, resistant, lukewarm people. I was confident that, if I clearly shared the wild, costly, other-worldly vision that God had given us, and how people at our church were called to invest into that vision, that those who would not be interested in such a lifestyle would not return. Understand, my invitation for them to run with us was genuine. Our door was wide open. When I say “I tried to scare them away” I mean I was simply authentic. I stripped off the suit of a salesman and shared my raw, passionate dream of God to advance with a team of zealots for Jesus. Such an invitation was all I needed to see who was deeply hungry for revival and who was not. I would do my best to help those people connect in another local church. I’d give them the names of some churches they might enjoy. While I truly wanted the very best for them, it always broke my heart when they decided against adopting a lifestyle of intercession and revival. That lifestyle is not for a specialized few. It’s for all. I believe it’s core to the mission of the church to give opportunity for people to clearly evaluate their commitment and to give room for them to leave. The intensity of the truth demands it. We must call people out of a natural life and into the supernatural, out of a casual place and into radical surrender. Understand, similar to the way Jesus ministered in the above passage along with other key examples in Scripture, the Upper Room served as a filter. It filtered out those who weren’t radically devoted. Most were repelled by the call to pray. The agenda did not change in the hopes of assimilating more people. The disciples loved them as they went their way…and then they turned the world upside down with the few who remained as a result. What filters do you have in your church, pastor, to call people to a transparent, genuine place of soul searching and decision? You must start and continue with an Upper Room atmosphere and an offensive, flesh-crushing Gospel message. It’s important to remember that the Ekklesia, the church gathering, was not designed for the lost. So many pastors get derailed on this point alone. The church is a house of prayer for all nations. The predominant church activity should be white hot intercession with tongues of fire atop everyone, with groans filling the atmosphere. It’s a remnant ministry. This call is for all who call themselves Christian. If you build a church with people who won’t devote themselves to the prayer room, you build your church with those who are disinterested at best and lukewarm at worst. Your church will be a low-water-level church. It will be a place where the fire can’t rage. 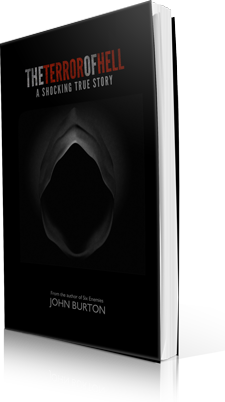 It will be naturally familiar with distant, elusive, marginally supernatural dreams. Pipe dreams. We absolutely don’t turn them away! We invite them into the furnace. We do not turn down the fire. We turn it up! Those who are hungry for God must not be introduced to a tepid, natural environment with an image of God that looks just like themselves. Reveal the glory of our mysterious, fiery, living God and watch them collapse to their knees in desperation! However, as I have stated already, many will choose to leave at the sight of something so alien and costly. That’s a choice they themselves have a right to make. Again, we must faithfully reveal the cost of following Jesus. We don’t come on our terms. We come on God’s. Too many are interested in warming their flesh by the fire instead of their flesh being consumed by the fire. Many will turn away sad. Even the most devoted will feel the severity of a life devoted to Jesus. They will cry out, “Then who can be saved?” That tension will result in a church that is sober and on fire and something that true seekers will give themselves to. Pretenders will certainly go away sad as the remnant church is revealed. My lifelong commitment in ministry is this: I refuse to tone down the activity of the Holy Spirit out of respect of those less hungry. That commitment requires everything I do to have the smell of smoke. In fact, pastors, one reason even the most devoted people aren’t coming to your prayer meetings is simple—they are dead, humanistic and boring. They are logically driven. They are simply a rehashing of what the natural mind can discern. As someone who comes alive in prophetic, prayer-fueled environments, I aggressively avoid powerless prayer meetings that are driven by lists of needs and human understanding. I don’t want my soul activated. I want my spirit to burn! I think tired, powerless petition-driven prayer meetings can do more damage than good much of the time. Do your prayer meetings have the smell of smoke? Are tongues of fire resting on everybody? If not, don’t be surprised when the even the most devoted disciples are no-shows. We need a church on fire today more than ever. The lost are being introduced into lukewarm, natural, Ichabod religion instead of a supernatural shaking that can only come from the Great I Am. They are convinced they are saved as they are assimilated into a community of likeminded quasi-spiritual people who would love to see God manifest in their natural realm—yet have no interest in manifesting in the spiritual realm where the Holy Spirit broods. My challenge to pastors is simple. Risk everything. Allow your church to dwindle, if necessary, to a few remnant people who will live, pray, walk and advance in the Spirit. The world is waiting for them. 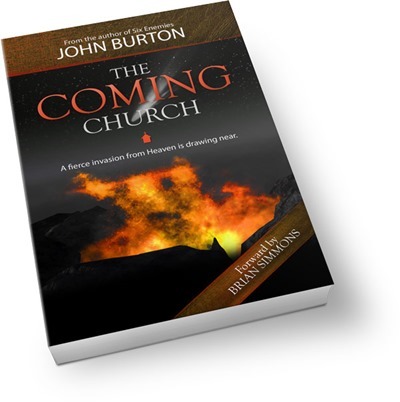 You can download a free chapter and order The Coming Church by John Burton at www.burton.tv/resources. 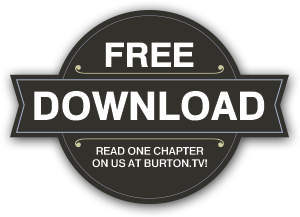 Enjoy a large and growing library of video, articles, books and equipping at www.burton.tv! Thank YOU for connecting with us and aligning with our passion for legitimate revival and awakening in the nations! By now you’ve most likely heard about my book The Coming Church. If you haven’t started reading it yet, I encourage you to dive in! You will find yourself coming alive and burning hot as God shakes you to your core! In addition to The Coming Church, I’ve written nine other books on topics such as prayer, intimacy with God, dealing with authority and fulfilling your mission. 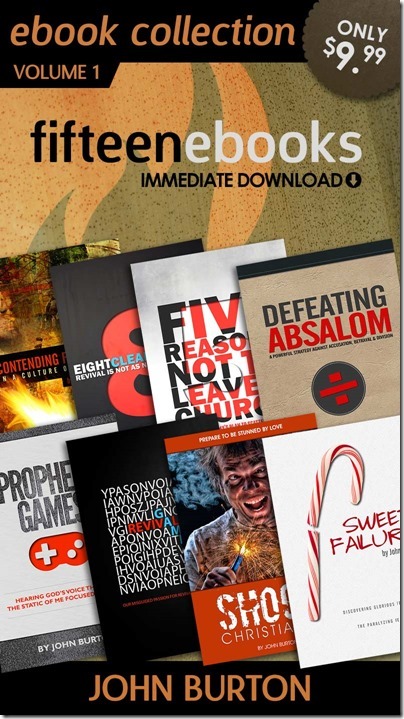 Also, I have a massive library of articles, both on my site at www.burton.tv/articles and on Charisma Media’s sites. You can check them out here: www.burton.tv/charisma. If you like to watch or listen to full length teachings, head over to www.burton.tv/media. Teachings from my studio here in Branson, Missouri and also other messages from the road are available at no cost to you! Lastly, you may be ready for three months of fire! If you are hungry to grow fast and deep, check out the School of Revival! This is an online school of fire that will stretch you and equip you in prayer, revival and other key end-time focuses. Go to www.schoolofrevival.tv today! Most of all, I love to hear from all of my partners and friends! Let me know what God is doing in our region. I’d love to come out and hold some meetings in your church or at your camp or conference. Let’s connect and see what God might do! We may need to choose: Grow a large church or contend for revival in a region. God's world changers always favor being idealistic ahead of being realistic. They are dreamers, visionaries and supernatural theorists instead of analysts driven by logical data. They refuse to work within natural limits for the sake of quicker, more visible success. They would rather fail a thousand times contending for the impossible than succeed once at something that's humanly possible. These leaders won’t compromise the call to revival by seeking to fill the seats with the lukewarm. They are calling forth the burning ones. Their dream is to shock cities with a remnant army. 300 was better than 33,000. This truth is the focus of this article. For as long as I can remember I have loved the large group atmosphere with innumerable zealous people worshiping God and going deep together. There’s something about the catalytic power and synergy in an atmosphere like that—if the majority are raging radicals for Jesus. A gathering like this most always takes place in the form of conferences or conventions. For example, for me, there’s nothing like the Onething conference that the International House of Prayer in Kansas City hosts at the end of each year. That Missouri city becomes the focal point for people who embrace the call to a life of prophetic intercession in the end times. People from all over the world converge there which results in the large group atmosphere I and so many others value. Over my 25 years of ministry I have enjoyed many large conferences like this but have also discovered that such gatherings rarely exist within the construct of the local church. Understand, I’m not saying the local church can’t attract a lot of people, become mega in size and become influential in the community. Many do just that. We’ve just ventured through an era where seeker sensitive churches became some of the largest churches in the nation. What I am arguing is that it’s extremely rare to find a church that’s raging on fire by establishing a prayer-fueled, revival focused, region shocking, Upper Room level culture. In fact, I wonder just how common it is to grow a church to more than one or two hundred people with such an approach. I believe it is possible yet extremely rare. With some exceptions, small revival tribes of 30-70 people are a much more predictable expectation—until revival actually breaks out. 120 in the upper room can quickly become thousands in the church of the city. It’s all too tempting for today’s church growth focused leaders to trade in their prophetic mantle for that of a salesman. Instead of cutting, bold, unapologetic truth being delivered with a prophetic edge, lesser, neutered messages are given in the hopes that there won’t be any kickback. Fear of offending the tithers overwhelms fear of offending the Spirit. The prevailing question becomes, “What will the people respond to?” I’ll major on that. Then, “What will people resist?” I’ll avoid those topics at all costs—even the cost of revival. The demands of revival include, at the most foundational level, God’s leaders refusing to be careful as they pierce with a sharp blade the sphere of influence they have been entrusted with. If leaders consistently communicate revival truths, only the remnant will remain. The masses that promised a mega-church experience would leave the pastor with but a handful to run with. Very few are willing to pay that price. The alternative is much more attractive—muzzled speech that the majority will enjoy. This, friend, is not the call of today’s leader—not at this critical time in history. We must see troublers of Israel emerge once again. Micaiah was sent to prison because he refused to cower when ordered to only speak what is favorable. I wonder how leaders will preach against the sins of the day when it becomes illegal to do so if the fear of losing people is such a struggle. It’s shocking to me when people reveal they haven’t heard troubling, shaking preaching on holiness, sin and repentance in decades! We must have the prophetic mantle return to the pulpits again! Revival leaders will bring trouble, and people will leave when they feel the blade of the sword touch their flesh. Today, we have leaders who refuse to speak on the troubles of the day, on politics and on other critical issues out of fear that they will divide the crowd and send some running with all of their resources in their pockets. The same is true with many itinerate ministers, evangelists and others who make a living from the Gospel. The more careful their speech, the more diplomatic they can be, the more appealing their focus, the greater the numbers and the more respected they become. Unfortunately, such an approach is an enemy to revival. Few will respond to those who trouble Israel. One day God spoke clearly to me: John, when you pray for a remnant, don’t be surprised when the remnant shows up. 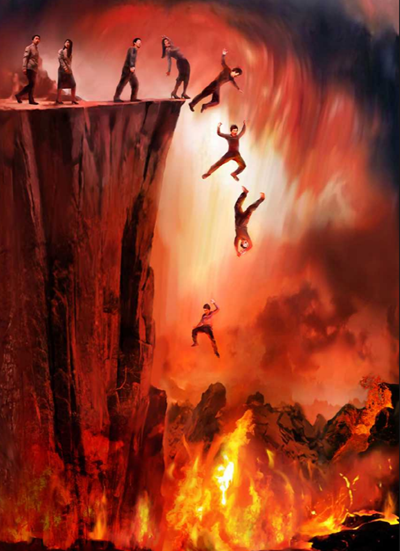 Personally, I’d much rather have a church of 30 devoted, burning, remnant revivalists than a church of several hundred people who will leave when the fire gets hot and the message cuts their flesh. The primary purpose of the church is to be a gathering of Believers under apostolic authority with prayer and equipping being the dominant activities for all. Focusing on attracting visitors can quickly compromise that core church mission. The Bible tells us the church is to be a house of prayer for all nations. It is not to be used as an evangelistic tool, but rather evangelism should be a result of what happens in the gatherings. I made a significant transition in my own ministry many years ago regarding my focus on visitors and church growth. In the early days, I’d get frustrated when they didn’t show up and overly excited when they did. It was common for my wife and me to take visitors out for lunch or coffee to encourage them that there was definitely a place for them and their giftings in our church. While we did grow, our vision was compromised due to attracting people who were more excited about their own ministry than the mission of revival. Over time we had people who could lead worship, serve in children’s ministry, wave flags, dance and serve as ushers. The problem? The church is called first and foremost to be a house of prayer. We had a lot of activity, a solid group of people and an underlying resistance to going deep in intercession. Our visitors turned leaders were not invested in prayer. I believe one of the most damaging things a pastor of a church can do is release people into ministries and roles if the they aren’t on fire, living in the Spirit and praying without ceasing. We wouldn’t allow anybody to step into any role until they completed an intense three month internship that revealed our DNA, our focus and the cost of running with us. This approach resulted in a small army of burning ones locking arms together in the pursuit of revival. Our transition from empowering visitors to warning and preparing visitors was key to our progress. We went from encouraging them that they would definitely fit in to being forthright with them. We let them know that they have stepped into an extremely challenging ministry. It would be hard, not easy, for them to connect. Everybody prays on fire as their primary function, we all rally around the vision of city transformation and we embrace radical holiness and a consecrated lifestyle. We stopped pursuing people, taking them out for lunch or attempting to sell our experience to them. The expectation was for the visitors to show up in the fire with us and to watch powerful relationships develop in that fox hole. We made the decision to trade in being a large church with people who were merely intrigued by the vision with being a smaller church with people who are wrecked by the vision. Most people are much more familiar with their natural, predictable, tangible world than they are the invisible, supernatural reality of God. With that in mind, outside of actual revival, church meetings that allow supernatural manifestations and embrace a spontaneous, bizarre environment will be avoided by most. When is the last time a Sunday morning service has erupted in a couple hours of groans of intercession as people go face down on the carpet? A friend of mine who is an extremely mature and seasoned Christian worked for a major prophetic ministry. During our services, she would regularly manifest with groans and violent shaking and other reactions to the Spirit of God. She kind of looked like a super intense, supernaturally possessed karate kid! That was not naturally relevant behavior! Most people would not visit a church again if that was a regular occurrence. The remnant would, though. I met with a House of Prayer network leader the other day who said that people leave churches when leaders shift time, energy and attention from them to God. I’ve watched that happen myself, and it rips me up! In our church in Colorado we shifted from potlucks to prayer meetings, and there was a mass exodus. We lost people and money. I had to get a part-time job. It was disruptive. It was heartbreaking that people ran from the call to pray. Where are the ones who aren’t looking first for human friends, personal affirmation or a sense of belonging but who are seeking after every available minute to minister to God in prayer? The prayer rooms must be full—and the main prayer room in the American Church is the Sunday morning sanctuary! And don’t you even think of using the excuse that you need to create a non-threatening environment for the new believer! 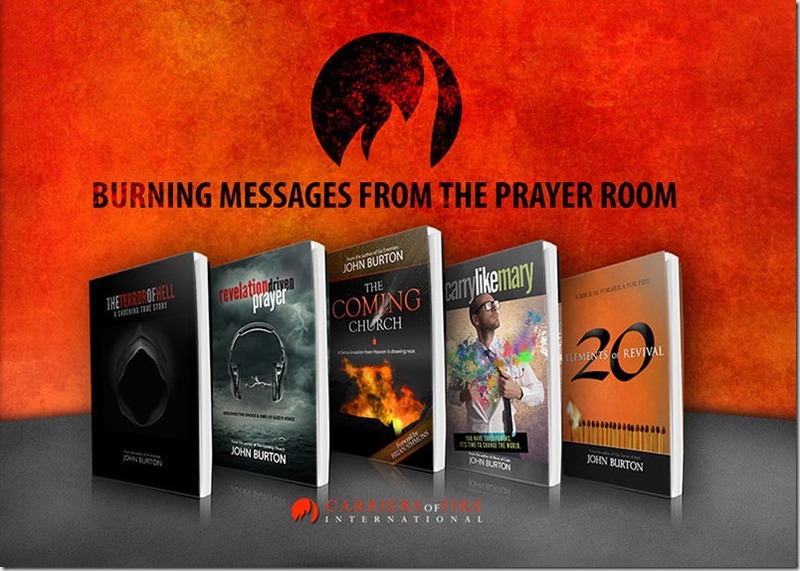 Every person, young or old, immature or seasoned must be in the prayer room—and it must be their primary focus! What if the Upper Room were toned down in the hopes of drawing a bigger crowd and interested seekers? We must absolutely refuse to tone down the activity of the Holy Spirit out of respect of those less hungry! God is a consuming fire, and he is about to consume what is unholy and compromised. Who are we to presume we know better how to facilitate a service? Is inviting the Holy Spirit to step aside as we give preference to human wisdom the way to go? I’ve heard it said that the main Sunday service should be a toned-down meeting so as not to freak out visitors and seekers. Apparently the meeting where the Holy Spirit has liberty to move in freedom should be reserved for a night when there’s little risk of the unconverted showing up. This is humanistic religion at its best! Did those in the Upper Room tone down the Holy Spirit so as not to confuse and trouble the seekers in the city? Absolutely not! In fact, the power was so extreme and so unusual that the people were provoked to wonder and proclaim, “they must be drunk!” What was happening was off of their grid. When man moves, it’s naturally familiar. When God moves, it’s supernaturally shocking. I’ve led life impacting prayer events in over 170 different churches, and while there was a lot to leave me in awe of God’s power, I was also left with disappointment. Sadly it was easy to see which pastors allowed room for a program of prayer in their church and which had established a culture of prayer. I was initially shocked when I’d see pastors show up, often alone with none of their staff or the people in the church, to pray in the Spirit for two hours on a Friday night. We were bringing anywhere from 30 to 250 people to their church, to pray with them and their people for the fire of God to engulf their church, and very often it was just us. I didn’t understand. Time and again I’d see pastors engage for 20-30 minutes and then get distracted, bored or restless. While the sanctuary was exploding in raging tongues of fire, over and over again pastors would be uncomfortable. Often they’d open their Bibles and read or they’d go to their office or talk to people in the foyer. Frankly, I don’t see how these leaders are even qualified to pastor. It’s unthinkable to me that anyone would presume they can lead a supernatural church without living a supernatural life of prayer. The reality is they aren’t leading a supernatural church. They are leading one that will attract the spiritually numb and naturally invested. Occasionally a pastor would show up, on fire, with all of his staff and a significant number of the people in his church. Oh, I lived for nights like that! I knew that prayer was appropriately primary in that church and that it was more than a program. They had nurtured a culture where prayer saturates every part of their ministry. When every person in the church is called into the furnace of intercession as a lifestyle, you are going to be left with only those who are truly passionate about Jesus and ready to contend for revival with you. Listen closely: the lukewarm, casual Church must be shaken! Yes, the true Church is one that is burning hot, in love with her Bridegroom. I risk off ending a lot of people when I deal with this issue of fervency and costly discipleship as it’s an assault against their theologies and lifestyles. It is NOT OK to be casually committed, loosely connected and given to the apathy that is destroying the Church. I’m calling awakeners to rise up! We must pray and burn non-stop! You can do this! There is no better way to live—and there is no other option! I believe it would be more biblically normal to have everybody praying, decreeing the Word of God and crying out in intercession for two hours on a Sunday morning than to continue putting on the predictable, tepid, schedule driven services we have today. I often challenge pastors by asking them what would happen if every church in the city cancelled every program, every group, every service for six months and did nothing but hit our faces and prayed instead. Instead of worship and teaching on a Sunday morning, we’d instruct everybody to find a place and cry out to God. Instead of children’s ministry, the kids would be with their parents in intercession. Instead of small groups and youth ministry events we’d pray. The pastors almost always answer by saying they believe revival would break out suddenly. I agree, yet I have not met one leader who had employed this strategy. Why? It threatens the goal of local church growth. People with money might leave. The less hungry will walk. This grieves my spirit. If prayer is a program you will have the opportunity to pray with a handful of others during the week. If prayer is the culture, nobody in the church will be able to avoid the call to fervent intercession because it occurs at every meeting they attend. It becomes seared into their very identity. When the call to the Upper Room was sounded, they didn’t tone down the prayer in the hopes that more than 120 would show up. They allowed hundreds to walk. It makes logical sense that we should have ministries available to attract the broadest group of people we can. This means programs, ministries and groups all over the schedule in order to draw every type of person is necessary. On the contrary, churches that are pursuing revival are calling people into one primary meeting—the prayer meeting with apostolic leadership giving direction. I’ve heard some wisdom over the years that I actually agree with to a point. It’s been said that if someone senses there’s a program or ministry that needs to be started in a church, the leader should thank them for their analysis and encourage them to be the ones to start it. After all, they are the ones with the vision for it. I can’t disagree that this is an effective method to diffuse accusation of lack in a ministry, but I do disagree that it’s an appropriate strategy across the board. Over the years I’ve used this method and watched people start ministries and crash and burn due to a number of reasons, not the least being that they didn’t embrace the vision of revival. They simply wanted to lead something or be a part of something they affirm. The better strategy I’ve employed in recent years is to simply say no. What they think is lacking is by design. What they think we need to add should not be added. Redirect people to the fire. Call them to refocus and to be calibrated with the unified vision of the church. In latter years, instead of filling the calendar with programs, or even a variety of scattered prayer meetings, we would maneuver everybody to our primary meetings. In fact, we had 24/7 prayer for an extended period of time and had every slot filled. Over time we decided the corporate vision demanded corporate meetings. We had to be together. Scattering, even in prayer, was doing damage to our mission. I’d rather have 3 larger prayer meetings than a hundred smaller ones. It also became less important to have youth and children’s ministries, small groups or various programs and much more important to gather people together for corporate intercession and apostolic instruction. Yes, this will result in a smaller church, but people won’t be scattered. Am I saying there can never be supplemental ministries or events? No, but you have to be careful. Mike Bickle initiated small groups at the International House of Prayer several years ago. From what I understand, they were “successful” but at a cost of their primary, corporate mission. People loved gathering together in homes each week, but these small group meetings negatively impacted the prayer room. 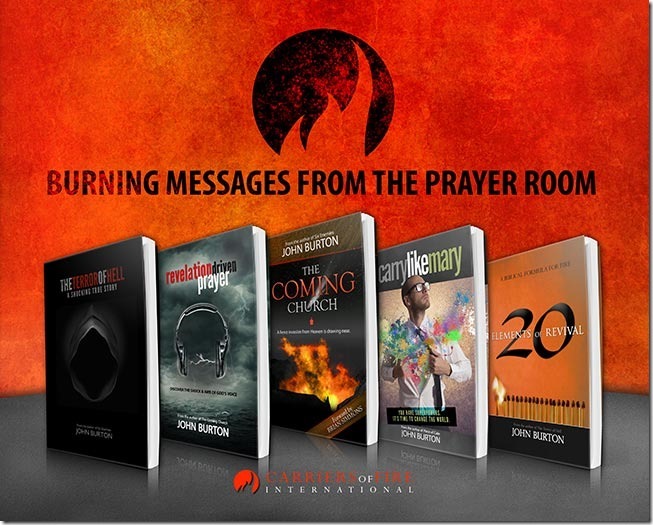 Instead of everybody contending in prayer as the main thing, there was now another option to connect, and the prayer room suffered. Mike then eliminated the small groups for many years and only recently reinstalled them again, with a new strategy that ensures those secondary programs supported and funneled into the prayer room. Those focused on church growth want people in programs. Can those programs be good? Sure. However, the moment you start contending for revival don’t expect the strength, commitment or passion from the laborers to be there. The pursuit of revival is a very narrow one. Revival churches aren’t called to meet every need. They are called to pray in the laborers, the remnant, to pray on fire and shake the city. If your church cancelled everything for a year…cancelled children’s ministry, teaching, programs, pot lucks, small groups… and replaced those activities with prayer meetings, would you stay in your church? That’s when I’ll return to the church. When we walk into the church we must be blown over by the unusual, overwhelming, otherworldly shocks of the Spirit of God. Simply, we need a powerfully prophetic atmosphere that causes everybody to respond by either running out the door or collapsing to their knees. A truly prophetic atmosphere will result in a never-ending charge in the room. People will be expressing themselves in many ways including cries of intercession, banners and flags flying, prophetic art, trances, encounters, repentance, dreams and visions and more. The goal isn’t the manifestation but rather avoiding restriction of Holy Spirit activity. A prophetic atmosphere will repel the more naturally wired people, unless their hunger for God is greater than their resistance to him. Revival churches absolutely must be driven prophetically in every service. We must hear the oracles from Heaven as we strategically advance day to day. There is a rapidly increasing movement of people who are shutting their ears to any prophetic words that have any measure of alarm to them. The warnings are not wanted as they threaten the current structures of comfort and ease. These people are at risk of a catastrophe that will mercilessly hit them and those who have been influenced by their messages of peace and safety. There are true voices that must emerge and declare the word of the Lord in its pure form. If we EVER temper a message in the pulpit, online or one-on one in the hopes of maintaining an audience, we’ve become a 2 Tim 4:3-4 false teacher. Another shift we will see has to do with teaching. Teaching will be minimized while instruction is emphasized. Teaching is mostly for personal edification while instruction is mostly for corporate assignments. Today, most churches focus on teaching principles of Scripture, providing truths that will help believers navigate through their lives and on offering nuggets of biblical information. While there will still be important Bible teaching, apostolic instruction will emerge as a necessary new ministry. The responsibility of prophetic leaders is to relay the messages of God and to instruct the people accordingly. Though teaching materials are in abundance, what is lacking is apostolic leaders, military commanders, who give instruction, assignments, to a ready army. Teaching is personal growth based while instruction is a call to corporate action for the sake of mission fulfillment. How to be an amazing parent, how to grow in God, how to prosper financially, how to walk in healing, etc. Those topics are fine, but they represent teaching versus instruction. Teaching is showing someone how to fish. Instruction is telling them to go fishing. Teachings are nuggets of truth that will help the people navigate their lives. However, I’m pretty certain if that large church of over 1200 people shifted to apostolic teaching unto revival, they would probably shrink to less than 100 people. My instruction when leading churches in Michigan and Colorado was for everybody to arrive at every service full, not empty. I challenged them that it was their responsibility to grow aggressively, intentionally, through the week so they would be maturing, on fire and ready to move out into mission. When we gathered together, I had the freedom to share key dreams and visions, to prophetically reveal how we must pray and act in the current season, share warnings and national words to prepare people for what is coming. Those who refuse to mature and who really don’t care much about revival or national or regional prophetic revelation won’t want to connect in such a church. Growing a church this way is extremely difficult, but gathering a remnant is more powerful. It was extremely common for people to arrive for prayer before the service and hear clear, specific revelation that I or other leaders received the night before. That would change the entire service as I’d preach from that place of prophetic activation and we’d pray and contend the rest of the night in our new direction. That service would always be irrelevant to those who are simply showing up to gain some biblical insight (and especially those who didn’t arrive early for prayer). They would be disconnected. However, the revival minded would come alive and would be alert and ready to respond with great conviction. When in Colorado leading Revolution Church, I instructed our media team not to display the words to the worship songs on the screens for a season. I was grieved at how dependent on the screens people were as they simply sang along karaoke style to what was being sung on the platform. It was time for them to launch into a prophetic realm of worship and prayer! In fact, we eliminated a worship team altogether in Detroit for a couple of years and filled the atmosphere with spontaneous, prophetic decrees, prayer and groans of worship. Music would sometimes play in the background, but we weren’t simply singing along from our soul. Our spirits were crying out! Revival churches must facilitate an explosive, supernatural atmosphere, understanding that the high majority of people will not join such a thing. As we become supernaturally changed in a place of extreme intercession, worship will change significantly. It will be supernaturally driven. There is a new sound coming to worship, and it’s not simply a new style. There is a supernatural, otherworldly groan of intercessory worship that will explode out of the entire body as a new breed of trembling worship leaders lead the way into the shock and awe of the glory of God. We will no longer simply sit in a pew or stand with a raised hand while a familiar worship song is sung. The prophetic, groaning sounds of Holy Spirit-facilitated worship will make it normal to shake and fall to our faces as we cry, “Holy!” The natural, logical sing-a-longs will be no more. We will have a hard time standing as man’s karaoke gives way to God’s Shekinah and Kabod glory that takes up residence in his Church. Worship teams will practice less and pray in the Spirit with tears in their eyes more. Today, along with most other expressions of church life, worship is at least slightly and sometimes extremely marginalized for the sake of the less adventurous attendee. Since most people tend to be adverse to more supernatural forms of worship, and many would leave if the atmosphere became too uncomfortable, the majority has been winning. I’ve said it countless times, and have written before that I refuse to tone down the activity of the Holy Spirit out of respect of those less hungry. How is it that the naturally-minded majority has supplanted the supernatural remnant in the Church? How is it that burning, raging, intercessory worship that’s driven by the groans of the Spirit himself are not appreciated enough to risk losing people from our churches? For those who live according to the flesh set their minds on the things of the flesh, but those who live according to the Spirit, the things of the Spirit. It was extremely important to me as a leader that everybody in the church was investing in the region. This means I wanted them to connect in other churches and ministries, to be ambassadors of revival and to become regionally unified. Growing a local church, to the contrary, focuses on having everybody in that church overly invested at that level, in the local setting. There’s no room for regional ministry. In fact, even Spirit-filled, revival focused churches can easily become resisters when the pursuit of revival in a region threatens their own pursuits. Pastors and leaders must have a clear vision not only for revival in the region, or only their personal part to play, but for the church of the city. How should everybody in the local army be investing in the regional mission? It’s important to not only encourage but also to lead people into regular regional events that are unto revival. If we are trying to grow a large church, this becomes difficult because most people won’t share the passion for revival in the city. They want to come, grow personally and connect relationally to a spiritual family. But, when they are called into regional mission, they just won’t have the passion or energy for it. The coming Church will be a regional Church, expressed on a city level. The local expressions will be important, but only as they are connected regionally. The regional Church will be important, but only as it is connected with God’s Kingdom government. The coming Church will be a praying Church that understands its authority and responsibility in the region. I’m sure I’ll receive emails from people who report that their church is large and contending for revival. I celebrate that! I’ve been to a few like that. Do they really understand the intensity of the new wineskin church that I reveal in The Coming Church? Is everybody in the church truly raging on fire in prayer and contending at an intense level toward revival or is there simply a great atmosphere and a focus on revival? This would be a remarkable exception and I absolutely want to visit! There are some brilliant, anointed leaders out there who can pull it off! As I said, most churches that are truly revival churches will be quite small. 120 just might be a good goal! The majority will be less than 70 in number of soldiers in their local army. Pastor, are you okay with such a shift in strategy? Trust me, 70 scalding hot warriors who can move mountains in faith filled prayer will do more for your city than two thousand moderates ever could. 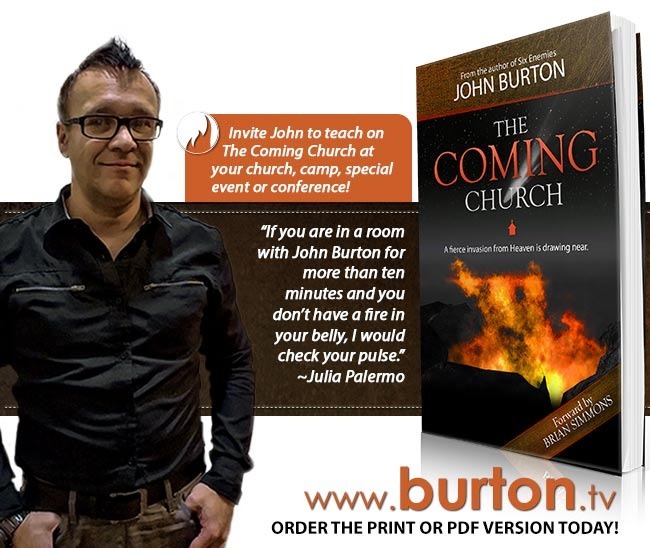 ORDER THE COMING CHURCH TODAY! Join me in Dayton, Ohio next weekend for a night of fire! May 15th is my birthday, and I’d like nothing more than for Dayton to receive the gift of revival! I’ll be ministering Sunday morning at 10:30am at Destiny Church in Huber Heights and then Sunday evening at 6pm at the Pentecost Encounter at Bethel Christian Assembly in Dayton! 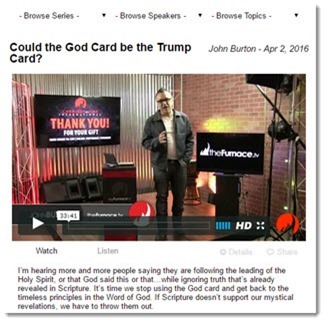 You can now watch or listen to any message for FREE! First, I want to offer my thanks to everyone who has subscribed as ministry partners. You have been such a blessing—and I am praying you will still continue to financially partner with us even though the media has been opened to everybody. We have also streamlined our websites by eliminating some and combining others. 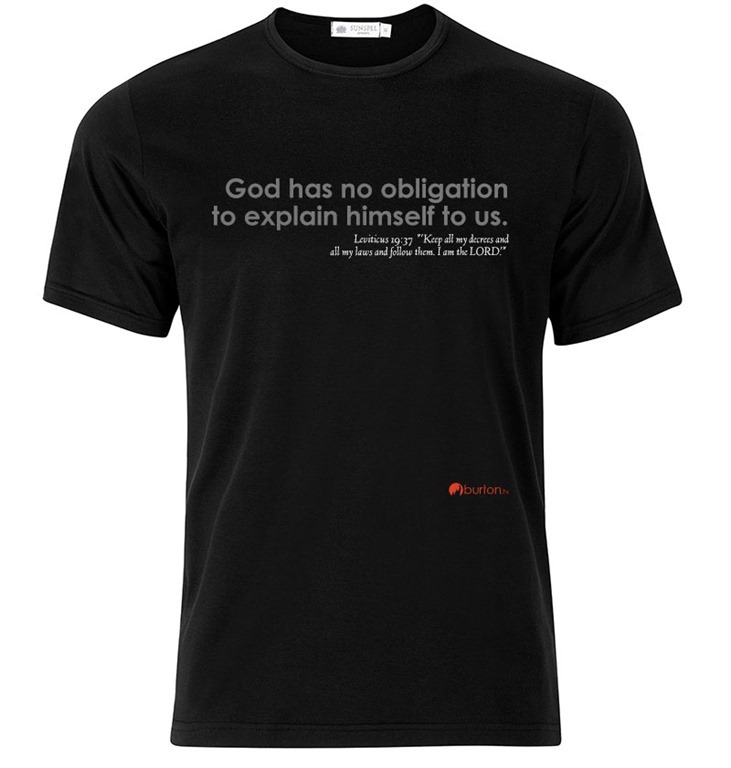 You can now go to www.burton.tv for anything pertaining to this ministry. You can watch or listen to teachings at www.burton.tv/media. As always, I absolutely LOVE to hear from you! Contact me at www.burton.tv/contact and let me know how the messages are blessing you! 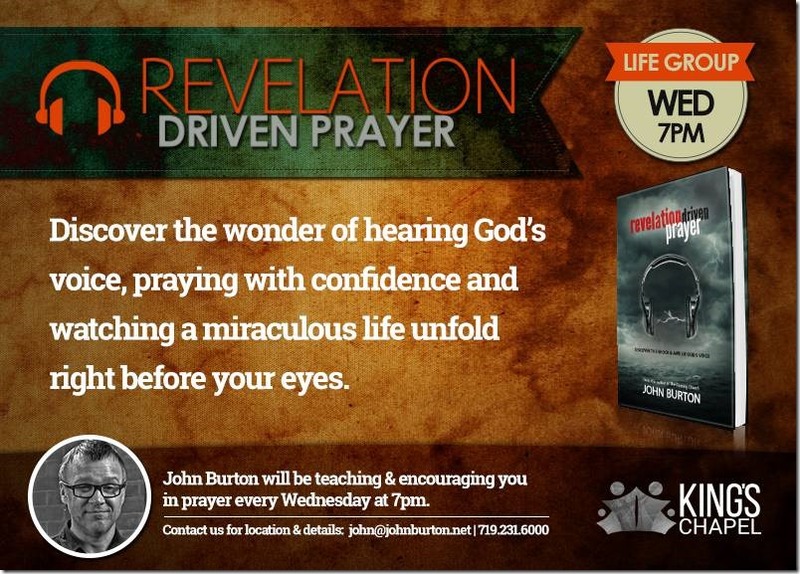 I will be leading a new group based on my book Revelation Driven Prayer! If you are in the Branson/Springfield, Missouri area, I’d like to invite you to a brand new prophetic prayer group! 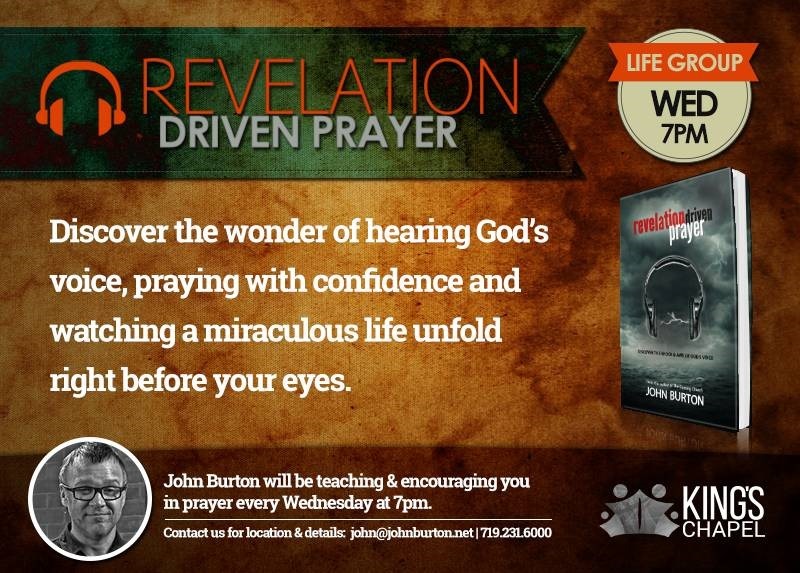 I will be teaching out of my book Revelation Driven Prayer each week, and we will also be spending time in various expressions of prayer and intercession as well. This will be a powerful experience and a great place for people of all types—from brand new Christians to seasoned veterans—to grow in prayer in a fun, joyful and casual environment. The first meeting will take place in my home on Wednesday, September 9th. If you’d like more info or want directions, contact me directly at john@johnburton.net.